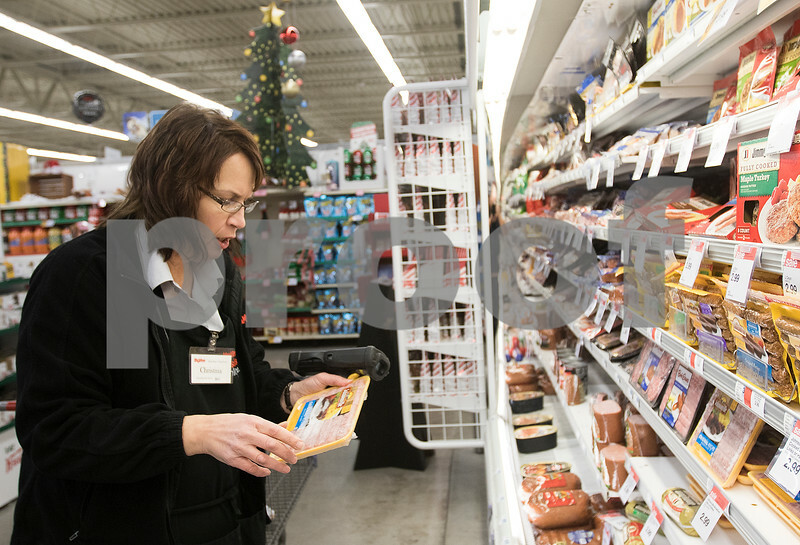 Aisles Online manager Christiene Drake shops for online customers inside HyVee on Friday, Dec. 23, 2016 in Sycamore. Drake fills online grocery orders for customers and was concerned when a regular customer had not placed an order. She went to the customer's home and called 911 when no one answered the door. Paramedics were then able to perform emergency treatment for the customer.